Smash Mountain View Grand Opening! Amazing day celebrating the Grand Opening of Smash Mountain View! The phenomenal growth of the Smash community is the result of countless people going above and beyond to support each other. We are proud to share our values, community and unique brand of fitness with the amazing people of Mountain View! Just as we have done all over the rest of the Bay Area. I’d like to recognize the partners at Smash Mountain View. These owners put on a great event and together have built another amazing new location to serve our members. Over the past few months the team has been working tirelessly to create a location to make the Smash Family proud. It is incredibly difficult for small businesses to be successful. Although the collective experience of our community provides incredible advantages, the work still has to be done. Every locations is different, and has its own unique set of challenges. Make no mistake, the people at Smash work very hard to find success. All the talent and experience in the world means nothing without hard work. But we know hard work isn’t enough. It is commonly repeated in our conversations that we know we would not exist without the amazing people that support us. Our family, friends, members, instructors and fellow owners are the reason why we continue to grow and thrive in the hardest place in the country to open a small business. Rudi Ott is leading the Mountain View location. He has worked incredibly hard over the past few months. 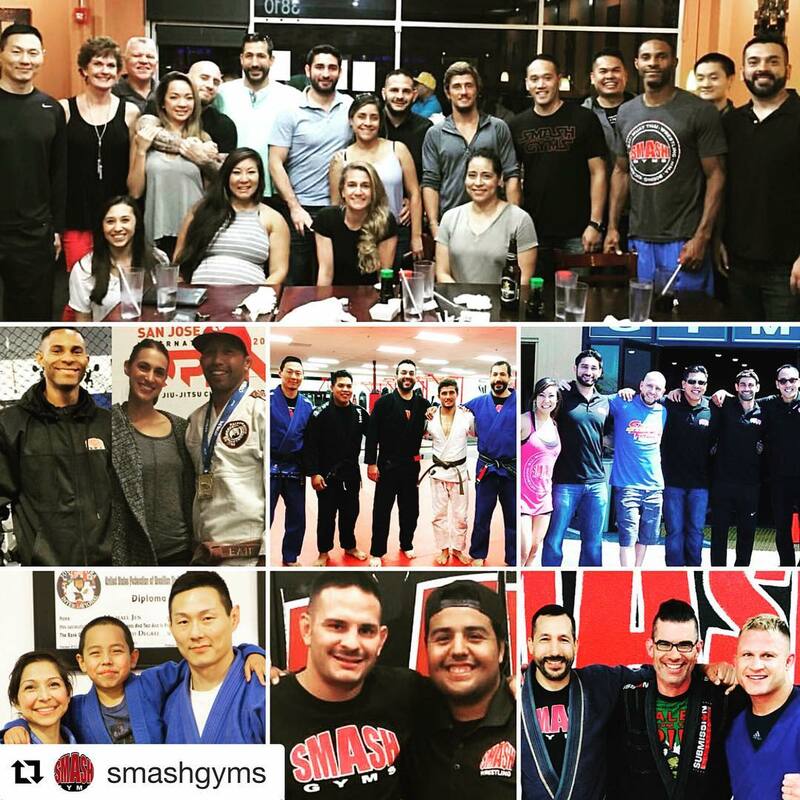 As head Coach of Smash Fighter and playing key leadership roles in two Smash locations, his experience as gym owner and dedication to the vision has helped Mountain View grow quickly into a successful business. He set up the Grand Opening party, played host, then jumped in his car and drove four hours to corner a Smash Fighter. This is just one of many examples of his dedication to the Smash Family. Brian Kuhn moved back from Colorado to open new Smash. Brian was one of the first BJJ students at Smash Sunnyvale, he then became a popular kickboxing instructor. A lifelong martial artist, Brian has taught martial arts and fitness for over two decades. 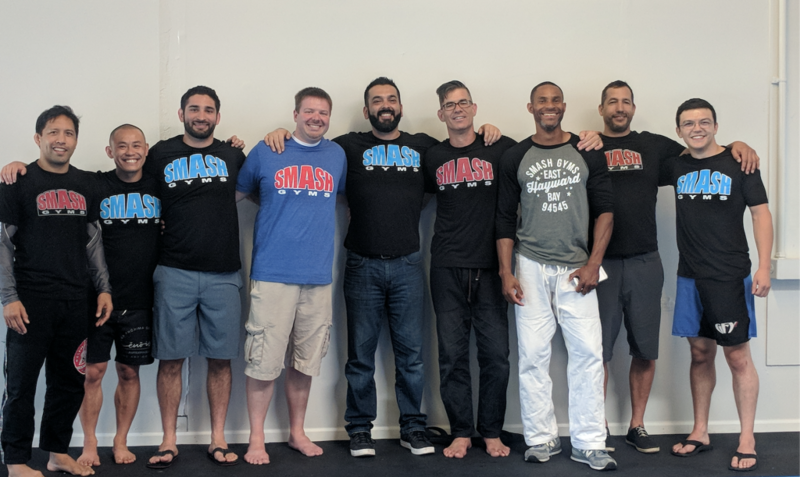 Now as a Smash Gyms owner, he was able to celebrate the Grand Opening of his own business along with being promoted to a Jiujitsu Black Belt on the same day. He has worked endless hours to make a beautiful gym. He without a doubt has put in the most effort, time, and money to make Smash Mountain View a success. Chris Mendel was one of the first members at the first Smash location. Now he is an owner of his own Smash! Chris is in charge of customer service and is the first smiling face you will see when you walk into Smash Mountain View. He cares deeply about the people in our community and has long wanted to be more involved. We are very fortunate to have someone like Chris sitting in the captain’s chair every night. Christopher Robertson’s classes are an example to all instructors of the kind of energy, programming and attention it takes to be the best at your craft. 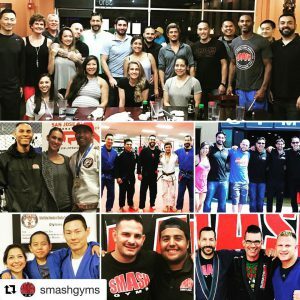 As an owner of Smash Hayward he is either teaching one of his many classes or driving around the East Bay and South Bay to give Smash members the best experience possible. Like all of our partners, he has sacrificed immensely for the opportunity to make a significant impact in the fitness and health of more people. 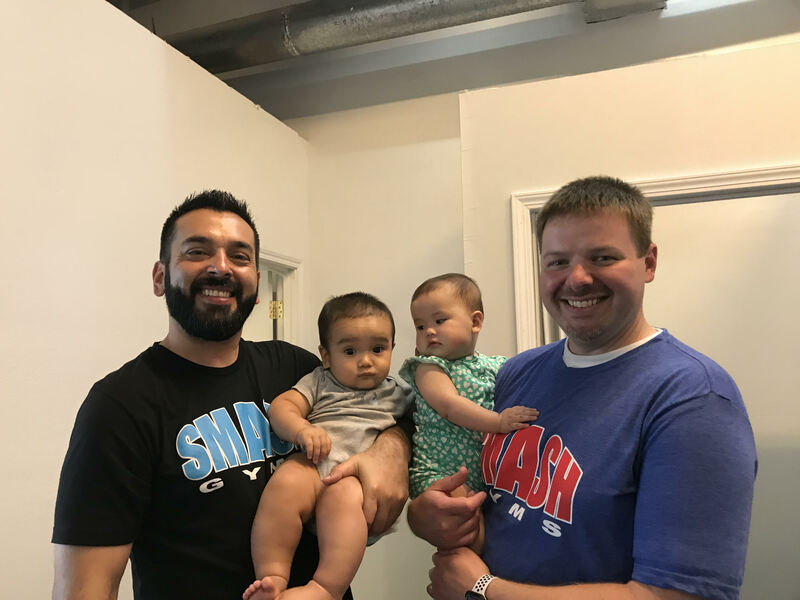 Leo Shen and Eli Sanchez who have helped build Smash’s disciplines and procedures always jump in head first when we need help at a new location. They have dedicated the past few years of their lives to build Smash and help new locations and owners replicate the success we have had at all our other locations. To teach new classes, at a new gym, and build a following from scratch, is not easy! 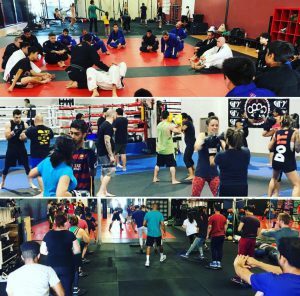 Special thanks to Michael Jen, Zack, Tristian, Mike Olivas, Nora, Jarod, Mario, Brett, Tony, Zeus, Eddie and everyone else that has helped us run classes. There are countless others that create the support system that allows for the continued growth of Smash. We want to thank Ed Crane who has painted all of our locations and won’t accept any pay. All that he asks of us is to, “Pay it forward boys.” George Melendez, Joe Gonzalez, Steve Chen, Vincent & Margie Chuang, Jeff Pena, Adam Guervara, and many others showed up to help us build. All our partners and instructors that pick up the slack at existing locations to provide us and the organization with an opportunity for growth. Most of all, I’d like to thank the families and significant others of the team for putting up with us over the past few months. Debbie, Quyen, Desiree, Meloe, Alyssa and Dolores, thanks for all the love and support. There are too many people to list. If you are part of the community or support system we are thankful. We will continue to dedicate our lives to building an exceptional organization. We are a community of people that will do anything we can to help each other be successful. We just happen to have really good martial arts and fitness classes. See you in Mountain View! 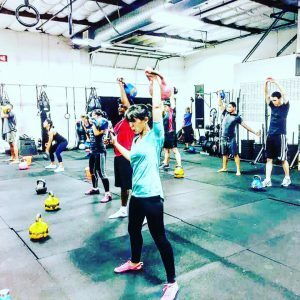 New Kettlebell Times and Classes! Welcome Coach Sash! Coach Sash will be helping his long time friend Coach Asher continue to develop our popular Smash kettlebell program! New class times! Smash Gyms Sunnyvale – Kettlebells will continue to be on Thursday night and Saturday. Thursday night is now Advanced Kettlebell! We are also adding a beginner friendly class on Tuesday at 5:30pm! Smash Gyms Mountain View- New Class beginner class on Thursday night at 5:30pm! New kettlebell classes starting this week! Hisashi (Sash) Imura is a Board Certified Athletic Trainer (ATC). He was the Head Football Athletic Trainer at San Jose State University for 10 season, where he managed and oversaw the medical care for the football program. Prior to his position at SJSU, Sash served as an athletic trainer for the University of California, Berkely football and women’s gymnastics teams. Sash began his professional career as an intern with the Oakland Raiders in 2005-06. Sash began is kettlebell training while with the Oakland Raiders, under the tutelage of Head Athletic Performance Coach, Jeff Fish. At SJSU, Sash continued his formal kettlebell training with Coach Chris Holder, and earned his RKC (Russian Kettlebell Certification) levels 1 & 2 from Pavel Tsatsouline in 2008. Sash is currently an athletic trainer for a private medical group in San Jose whose doctors serve the SF 49ers, SF Giants, and SJSU Athletics and Judo teams. He lives in San Jose with his wife Shannon and son, Kaeden. Smash Mountain View coming in 2018! Happy New Year! Special Announcement! In 2018 Smash Gyms will continue on our mission to inspire and support health and fitness in Silicon Valley. Our amazing community is growing yet again, for our 5th Bay Area Location! #SmashMountainView coming in 2018! Stay tuned for more details. This amazing growth is only made possible by our dedicated owners, instructors and members. Our gyms are locally owned and operated by passionate experts who are teaming up to share our arts and disciplines with our communities. Thank you for all the support and stay tuned for more details! We have so many amazing people at Smash, so it always feels strange singling out any particular individual. I often have the feeling that I can never repay all those who have helped, so I feel that the least I can do is share with everyone the history and behind-the-scenes workings of some of these great people. One of these people is Jacob Palomino. Ever since I met Jacob, he made it clear that his top goal has been to share the skills and knowledge he has acquired. 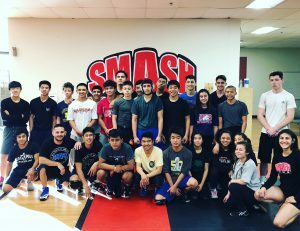 The wrestling program at Smash Gym San Jose has become one of the top programs in the area because Jacob and his assistant coaches go way beyond the call of duty. For example, yesterday, Jacob conducted a free clinic for all local high school wrestlers. After the free two hour practice, he grabbed the 14-year old son of one of our Brazilian Jiu-jitsu coaches who has just begun his first year wrestling in high school. Jacob spent 20-30mins showing him details on the front headlock. Then he played with my 3 year old son, along with his son, and taught them how to get into a wrestling stance and sprawl for another 20 mins after everyone else left. This is not uncommon behavior for Jacob. He is probably the hardest working coach I have ever met, and that’s saying a lot because I know a lot of amazing coaches. A typical day for Jacob may consist of teaching two classes and coach up to 5-6 private lessons. 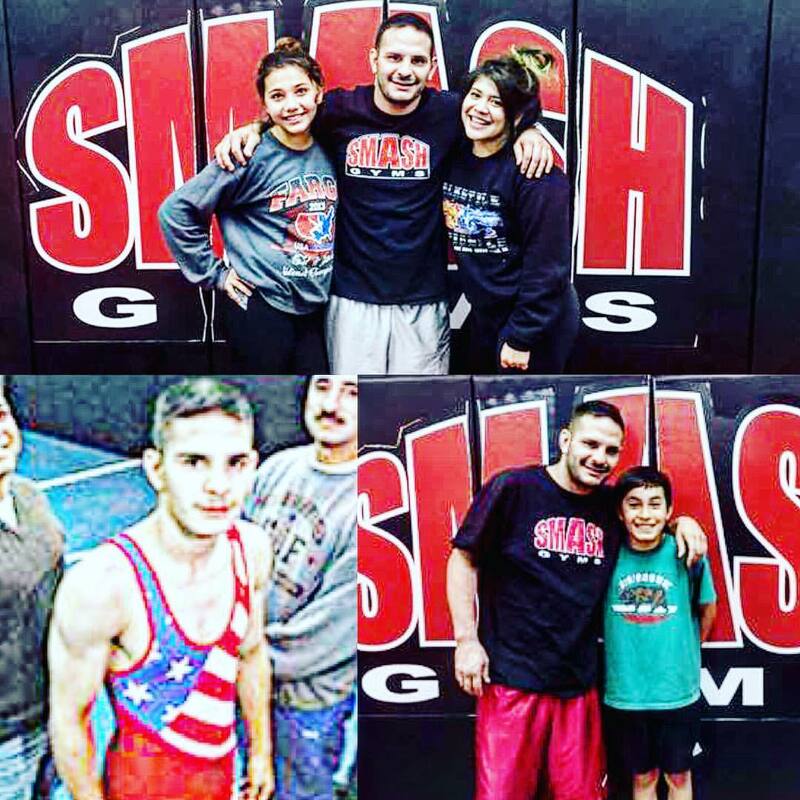 During wrestling season, he brings local high school kids to the 6am strength and conditioning class at Smash San Jose. He is often working at Smash San Jose until 9pm. As many of you know, Jacob comes from one of the greatest wrestling families in the state of California. When Jacob, his older brother Jason, and his cousin Ricky were in high school their legendary uncles, Anthony and Rick Palomino committed themselves as coaching staff for Independence High School. They created one of the most legendary high school team’s in California history. 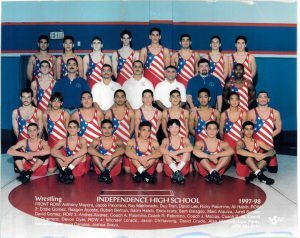 Under the Palominos, Independence won the California team state title, produced future NCAA champions, and Olympians such as Eric Guerrero. Their technique, work ethic, and heart were incredible to watch in action. 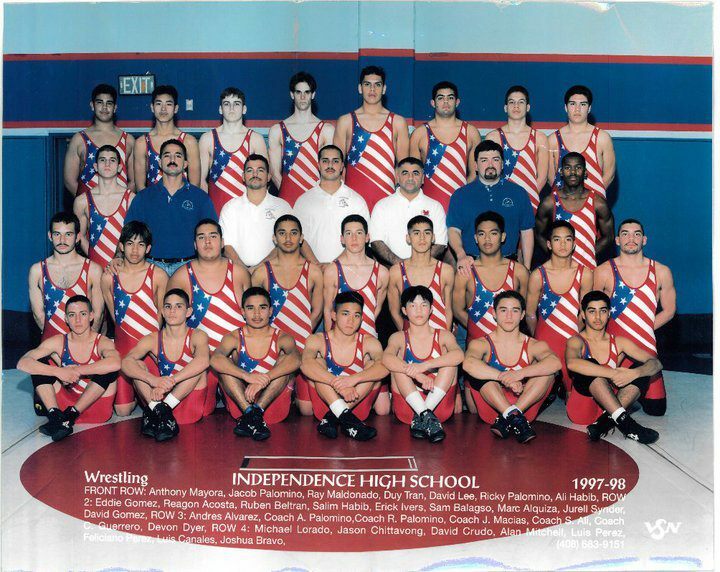 In 1998, Jacob was the youngest of his generation in the Palomino family and made history by becoming the first freshman to become a state champion in California EVER. Typically a 14-15 year old competing against 18-19 year olds would not stand a chance. He proved it was possible and, amazingly, became a 4-time state finalist and 3-time champion. As if this wasn’t incredible enough, those that were close to him knew his story was even more inspirational than you could possibly imagine. About a month before the State Championships, Jacob’s young and healthy mother suddenly passed away. Jacob was devastated. Most people thought his season was over. Just weeks after this tragedy Jacob stepped into the toughest high school wrestling tournament in the country and did the impossible by becoming the first freshman to win a California State Championship. You can imagine the inspiration that his friends and family drew from that victory. Jacob’s story inspired the wrestling community all over California. He dedicated his historic championship to his mother. At 15 years old Jacob Palomino became a legend. Jacob was also a teenage father, having had twin babies his Junior year in high school. Either one of these things would have easily derailed someone from achieving excellence. Jacob, through incredible determination somehow continued to march forward and made a history as one of the greatest high school wrestlers ever. If you’re not aware of what a California State Championship really means I’ll do my best to explain this amazing accomplishment. There is only one kid at each weight that becomes a state champion in all of California. This year in California there’s about 2 million kids in high school in over 2,500 schools. It’s a dog fight every step of the way to move up in qualifying tournaments to and then get to state. Only one kid at each weight in his whole school gets to wrestle varsity. High schools are split into a league tournament of about 20 schools, top 2-3 winners at each weight in each league go to our section tournament, where about 120 schools compete against each other. The top 3 athletes that place at sections in each weight get the honor of going to State. The California State Tournament is truly a tournament of champions. Right before we were going to open Smash Sunnyvale I ran into Jacob at CCS. I mentioned that I was going to open a gym soon. Always humble, he said, “if there’s anything you need let me know, Not sure what I can do, but seriously I want to help so just please let me know.” I tried to keep an acceptable level of excitement and I told him I’d give him a call. 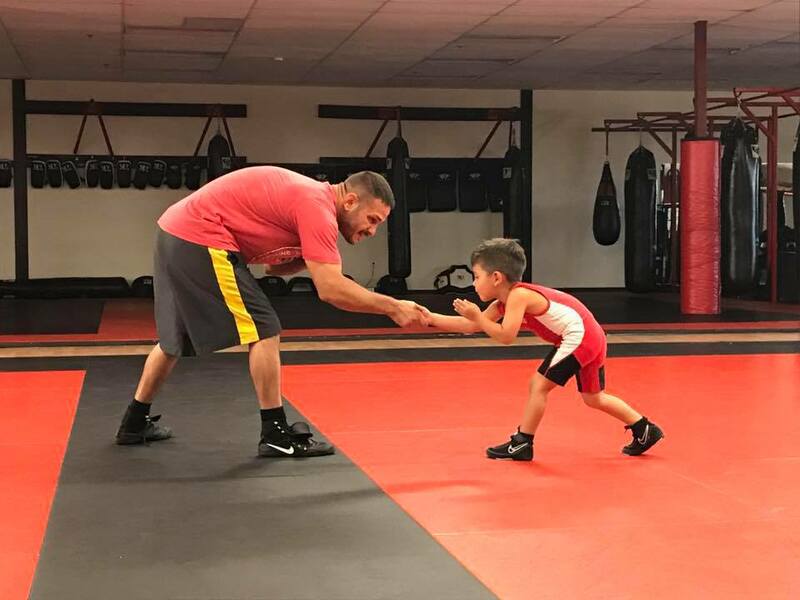 He began teaching a wrestling class Monday night and would not accept any money. For a year, no matter how often I asked, he would always brush it aside. Finally, I started putting money in his shoes while he was still on the mat. Even then I would have to reason with him that it would be good to at least let us pay for his gas. After all, he was driving over 25 minutes to get to Smash Sunnyvale. That first year Jacob rarely participated in jiujitsu. Although, he had never attended one jiujitsu class, sometimes jiujitsu students would ask him to roll during his wrestling classes. He never said no. Late one evening near the end of Smash’s first year, about two weeks before the BJJ US Open, I got a text from Jacob. He asked me if I thought he could win it. I would never bet against Jacob, so I said yes. We did a few private lessons around a game plan for the US Open and of course, he won his division. When Filip, Mario, Eli and I partnered to open Smash San Jose, Jacob was working full time at a local cemetery. 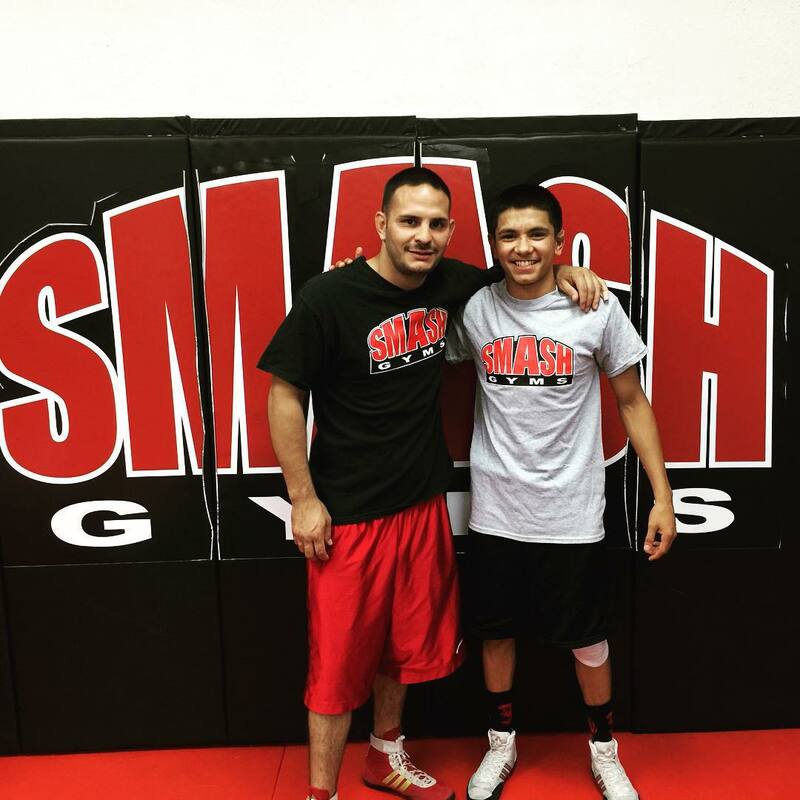 Jacob began teaching some classes at Smash San Jose, getting requests for private lessons, and word started getting around to local high school coaches and wrestlers. Soon enough, they were asking him for help. His schedule quickly filled with private lessons. He began to realize that it might be possible to teach wrestling full time. Jacob told everyone that was now committed to becoming the best instructor possible. His passion and dedication to servicing student athletes in the community showed. People began to say Jacob might even be a better coach than he was a wrestler. Their support provided him with the opportunity to finally quit his other job and start teaching wrestling full time. Jacob has developed a very close following of supportive parents and students. They are loyal and thankful for all that he does for the kids in the community that seek out his guidance. Jacob has significantly influenced the local wrestling scene. Entire junior highs and high schools have better teams because of his efforts. A lot of local hardworking coaches are very thankful for the help he’s given them. Having Jacob at Smash full-time is a blessing to everyone. He is always inspirational, honest, and hardworking. Because we were so thankful for his contributions Filip, Mario, Eli and I decided to make Jacob our partner and co-owner of Smash San Jose. Jacob is one of my personal heroes. He’s one of the most giving people I’ve ever met. Very few people inspire others to be better in so many different aspects. Jacob motivates everyone around him to be a better leaders, parents, athletes, and coaches. I hoped by sharing his story you can find as much inspiration from it as I do. What do JiuJitsu, CrossFit & Yoga have in common? Our innovative social fitness classes at Smash Gyms have taught us that the various arts and disciplines we teach are not so different. People may have a preference in form, but in substance, everyone enjoys these classes for the same reasons. In each class, students learn skills from an expert instructor, while seeing measurable progress, creating relationships, and improving their health and mind. When in any of these social fitness classes, you are totally present. This mindfulness is especially therapeutic and addictive. When weightlifters are performing, their mental state is remarkably similar to the kickboxer, jiu-jitsu practitioner, or the parkour student. Being extremely focused in this messy and cluttered world of relentless input is an amazing feeling. Progress is always incredible to see and experience. In every class, regular participants can been seen transforming from clumsy beginners to knowledgeable practitioners. Bodies and minds are improved through regular training as students learn, not only from the instructors, but from each other and themselves. Members often comment how they are surprised by what they have been able to accomplish. They become fit and confident as a result of humbling themselves and entrusting the guidance of the instructors. These arts and disciplines easily turn into lifelong pursuits as the journey to improve is infinite. What one knows will always be less than what one doesn’t know. Through this process of learning and personal development, incredible social bonds are made. Lifelong friendships, and even marriages, develop within the communities. Training partners and instructors become lifelong mentors, protégés, and family. Jiu-jitsu, Crossfit, Yoga, Kickboxing, Parkour, Judo, MMA, etc…like it or not, we aren’t so different. 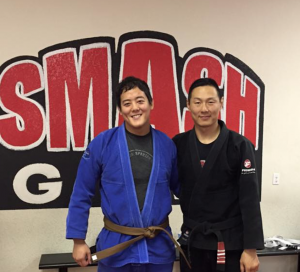 Drew is a Jiujitsu Brown Belt and teaches on Wednesday evenings at 7:30pm in Smash Sunnyvale. He’s been training jiu-jitsu for over 16 years and also an experienced self-defense and weapons practitioner. He’s very technical and detailed in his instruction. Come train with Drew! “I started training as a college student in 2001 at a no-gi/MMA place in Massachusetts. About a year after that, I was training for the summer at Ricardo Almeida’s school and got my blue belt. When I was at grad school in Pittsburgh, at the time there was no formal grappling or BJJ school near where I lived, so I taught at our grappling club at the school gym. When I got a job in the Bay Area in 2006, I started with Michael Jen, and got purple and brown belts from him. This was when I started training regularly with the gi; it had been about 90% no gi before this; so I’m no stranger to a neck crank or heel hook. I started teaching at Smash assisting with the self defense program. I’ve taken several courses on self defense with weapons like guns and knives in the mix and I think jiujitsu is very applicable in this context. I later started teaching the fundamentals jiujitsu class, and then the regular class. Should we allow our kids to quit whenever they want? Occasionally, some parents will mention to me that their child no longer wants to train martial arts and ask my opinion on whether or not they should allow their child to do so. This is what I tell them…. The first thing I point out is that we know that a good education is important. Imagine if we allowed our children to quit school as soon they did not want to go anymore. If we allowed this, I think we would have barely any children in school. As adults and parents, we understand the future benefits of a good education that a child cannot comprehend. Similarly, we have our kids do martial arts because we also know there are so many benefits to their lives that our children may not fully be able to foresee or comprehend at the moment. As a result, just as how I would not allow my child to quit school, I would not allow them to quit martial arts. In my opinion, as a parent, one of my goals is to prepare my children for life and I believe that martial arts is an essential part of that. The second thing I mention is that, in general, children do what is pleasant for them and avoid what is unpleasant for them. If we, as parents, allow our children to quit doing something as soon as it becomes unpleasant, unentertaining, or difficult, our children would never accomplish anything significant in their lives. Many have heard the saying that you learn many valuable life lessons from playing sports. I disagree with this statement. I prefer to say, “You learn many valuable life lessons in the process of trying to get a good at a sport.” Anyone can be mediocre. Mediocrity can be achieved without trying very hard. Valuable life lessons are not learned from putting half effort and not striving to be the best you can be. Valuable life lessons are not learned from quitting when things get unpleasant, unentertaining, or difficult. In life, any accomplishment that is meaningful or significant is always accompanied by difficulty and hardship. Smash is proud to be a part of The Social Fitness Network! The Social Fitness Network (SFN) is an amazing Community of Fitness Studios and Gyms in the Bay Area. Members of SFN Partner Gyms instantly have access to hundreds of classes at some of the Bay Area’s top gyms. Click here for more information! If you sign up online, choose a home gym and get all the other gyms Free! Here are some of the SFN Partner Gyms! If you are already a member at a SFN partner gym, email info@socialfitnessnetwork.com for more information. Coach Miranda ‘Killa’ Cayabyab earned the moniker early on in her competitive career by the tenacity in which she approached her training and the intensity she brought to the ring. Now retired from Professional Muay Thai, she has put her focus on raising her children and developing her talents as a Coach. But let me start at the beginning to give you a better understanding of why she is so awesome. In 2004 Miranda found herself in an unhealthy place. Out of shape and overweight, she had lost her confidence. She decided to make a change and found herself in my Cardio Kickboxing Class! Though it was difficult, she loved the it! Miranda dedicated herself to getting back in shape and that’s where it all began! A year and 40lbs later Miranda decided to take on new challenge, Muay Thai. She overcame her fears and began to love challenge of stepping into the ring. Killa quickly established herself as a legit competitor with a fierce heart within the fight community. Miranda won 3 National Titles as an amateur. During her amateur career, she took some time off to give birth to her second child Aurora Hope. For most, having a full-time job, 2 children, and training full time as a competitive fighter would be too much. Miranda not only was able successful with all those responsibilities but during this time she also decided to get a Certified CrossFit Trainer. Always looking for new challenges she then decided that she wanted to take her Muay Thai career further and turn professional. In November, 2013 Miranda made her Professional Muay Thai debut for Lion Fight Promotions. What most don’t know is that she had completely blown out her ACL & PCL just 3 weeks before. Miranda refused to pull out of the Fight. Her determination and skills were on full display that night. Despite her injuries she won a unanimous decision victory. Her family, friends. and team were very proud. Now she is entering the next stage of her Fitness and Martial Arts journey. Already coaching Fitness Classes for Smash Gyms Milpitas, she will start teaching Muay Thai Fundamentals on Thursdays. Her passion and knowledge for the Art of 8 Limbs will be a great addition to Smash Gyms. We cannot wait for you to try her class! Check out Smash Gym’s Head BJJ instructor, Michael Jen, in the latest episode of the United BJJ podcast. He talks about many interesting topics that he hasn’t discussed before in other interviews! Enjoy!